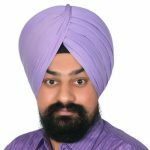 Harmandeep is the Chief Digital Officer for Building Clarity division of Brady family of companies. He holds an Electronics Engineering degree from India and an MBA from London Business School. He joined the Brady organization in 2014 through an exchange program at Duke’s Fuqua School of Business. He developed the 3-I strategic approach – Integrate, Innovate and Illuminate – a simple yet powerful model which we apply at Brady to grow our business to the next level of growth and profitability. Harmandeep has been recognized for pitching innovative solutions and leading digital transformation in the industry. He has held various roles with Pacific Controls, Trane and Ingersoll Rand, and now focuses on managing the partnership ecosystem and accelerating the digital business growth at Brady Family of Companies, where he co-founded Building Clarity, a new business venture in the IOT space for smart buildings.